The good thing about researching and knowing your history especially football history is that at a point it will give you a big opportunity of winning or earning something you never expected. It will also get you to places you never expected to reach;like winning an all expenses paid trip to Brazil to watch the world cup live. 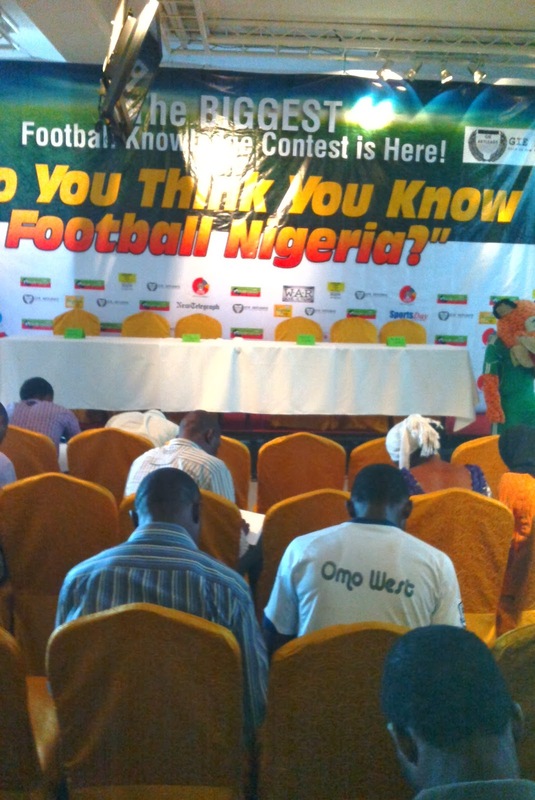 And that was the opportunity that two young Nigeria at the ''SO YOU THINK YOU KNOW FOOTBALL NIGERIA'' competition which which was held at the Lagos Oriental hotel, Lekki, Lagos over the weekend. The competition is to test and reward those football fans who think they know football. 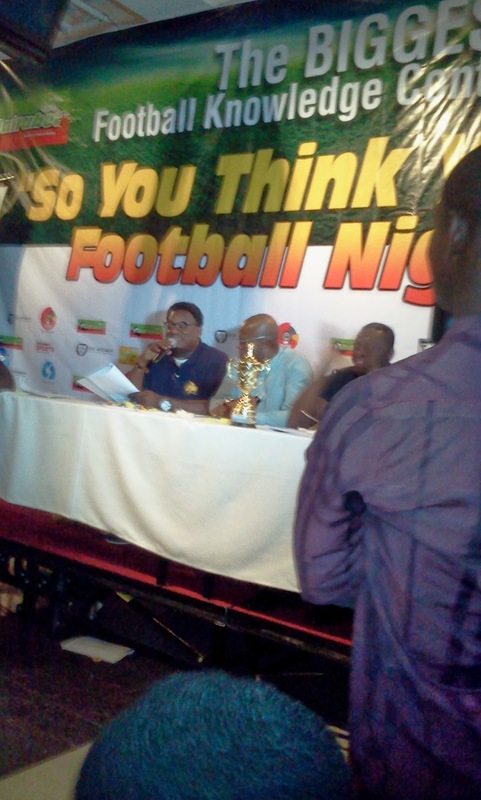 According to the the organizer and host, ''Mighty'' George Iniabasi Essien, who is a seasoned sport presenter with a unique voice and Entrepreneur, SO YOU THINK YOU KNOW FOOTBALL NIGERIA is a sport based quiz created as a contest among Nigerian soccer fans. The Idea, according to ''Mighty George'' is to discover young sports aficionados, who can kick-start a career in sports analysis/casting, sports marketing and even sports administration. 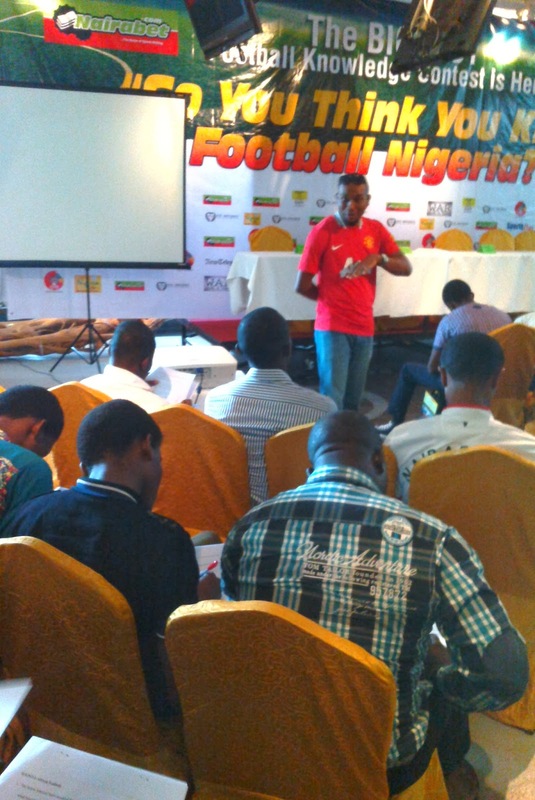 Thus many football crazy fans in their numbers registered to for the competition courtesy of Naira bet who were the official sponsor of the event. To prove its credibility, there was a panel of judges that include two ex international, former super eagles of Nigeria midfielder who scores goals with his head and thus termed the headmaster, Mutiu Adepoju and former Under-23 goalkeeper and Atlanta 96 Olympic gold medalist,Dosu Joseph. 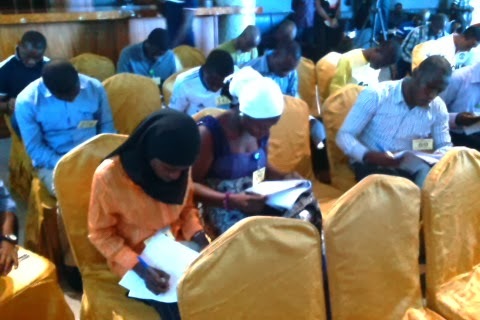 Also two seasoned journalist were part of the panel of judges. They are Femi Obong Daniel, of Femi and the gang on 99.3 fm Nigeria Info and seasoned football pundit, Segun ''the pundit'' Agbede. 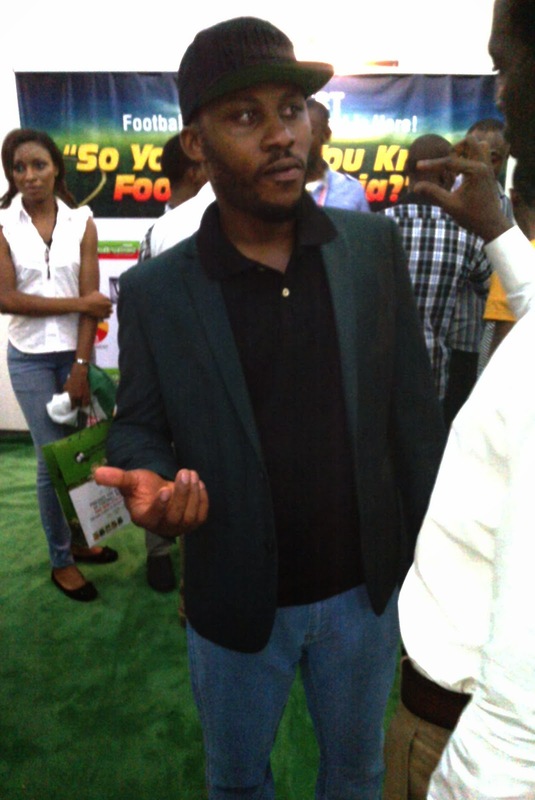 Also joining the fray is Otunba Akin Alabi, the ceo of Nairabet and host, ''Mighty'' George Essien. Former super eagles coach, Samson Siasia was not able to make it as he was not in the country. And it was really an exam. the Invigilators were Emmanuel Etim and Deji Farawe who are great sport presenters with Femi and the gang of 99.3 fm Nigeria Info, they were joined by Morris Eribo, winner of the first edition of SO YOU THINK YOU KNOW SPORTS who had the opportunity watch the final match of the2013 FIFA U-17 world cup in Abu-Dhabi plus N500,000 and observed closely by, yours sincerely, Cosmos Chukwuemeka. 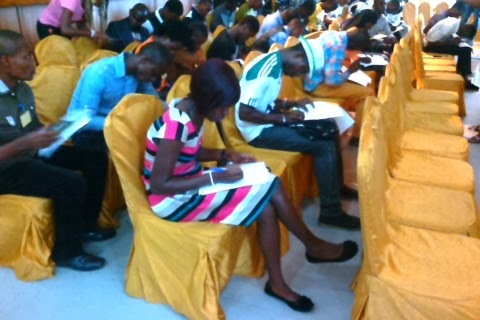 After the the written test, those that qualified for the round of 16 were squared in twos and asked 5 questions each to determine who will get to the round of 8. In the round of 8, the competitors were squared in twos as well and asked two questions each.It was thrilling and suspense filled for the guests and tasking for the competitors as they went head to head with each other. Then came the round of four which was the final round and it was thrilling as well. And a winner emerged. Before announcing the winner of the competition, a raffle draw was done courtesy of Naira bet who were the sponsor and co-organizer of the event and the winner of the draw will join the winner of the competition to win an all expense pad trip to watch the world cup in Brazil. 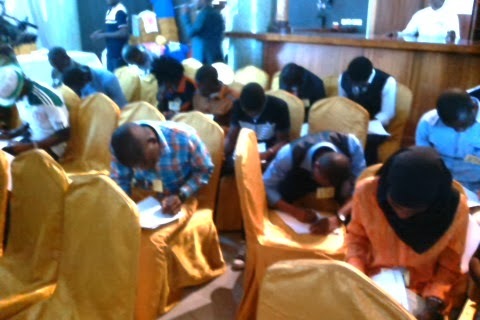 So contestants put in their naira bet user Id for the draw. After determining the third runner up, second runner and first runner up via the draw, with those winning getting consolation prices of a TV set, Laptop and Ipad respectively, the winner of the draw emerged. 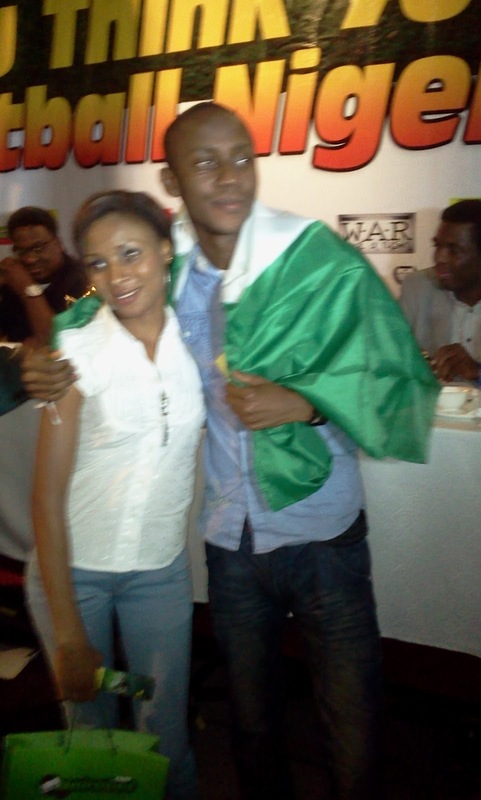 It was a lady, Onyekaweme Becky Ngozi. Now this lady, actually arrived late after the written test and could not participate in the competition. But she didn't leave in disappointment and was rewarded for her patience with the opportunity to watch the world cup, live in Brazil. Then after dispensing with the third runner up in the competition, who got an Ipad as consolation, the second and the first runner up were tied in point so they were rewarded with an all expense paid trip to Dubai and other consolation prices. 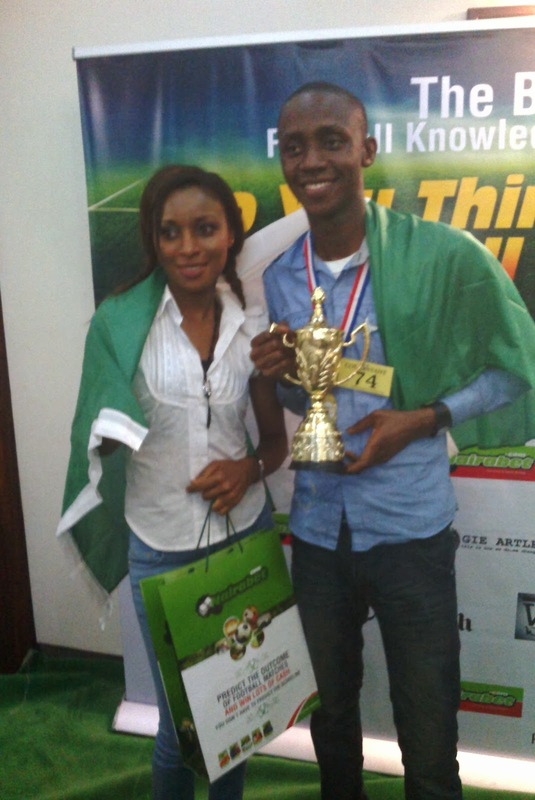 Then the winner of the ''SO YOU THINK YOU KNOW FOOTBALL NIGERIA'' emerged. And it was Iwuoha Chinedu Ugwunna. 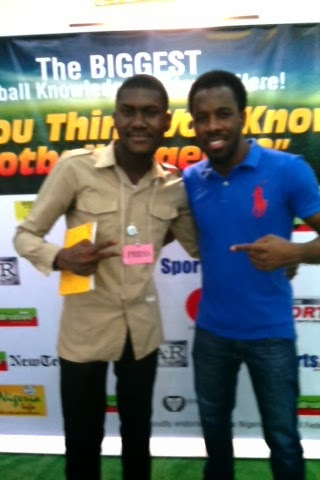 You will be amazed with the level of knowledge this young man has about football. So two winners will be in Brazil for the world cup courtesy of ''SO YOU THINK YOU KNOW FOOTBALL NIGERIA'' and Naira bet. It was a good event as it was filled with entertainment and comedy with the fans were performance of artistes, Skuki to ease up tension in the competition. 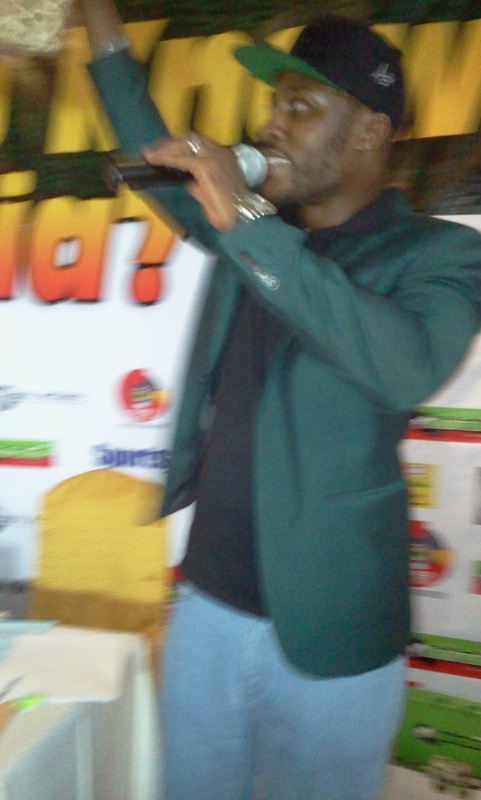 Kudus also goes to ''Mighty'' George Essien who gave football fans the platform to showcase their knowledge of football and sports on radio and for making the event possible. It is not easy and it could be better than this. Thumbs up boss.